When it comes to product placement the fourth season of Netflix’s hit TV show House of Cards hadn’t been a lot different than its predecessors. Without going into detailed research I would say that Apple still had the majority of screen time. 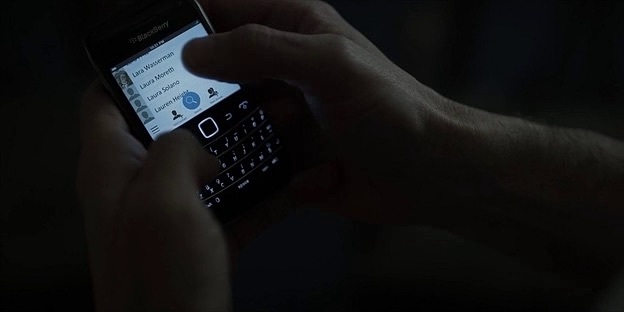 In the first season we saw a lot of Black Berry phones, however due to the decline of this once successful brand, their phone appeared only once: in the hands of Frank Underwood’s chief of staff Doug Stamper. Meanwhile the Underwoods still use a lot of Apple equipment, while Frank’s main political rival in the season 4 Will Conway uses Samsung Galaxy S6 Edge. In the season 4 we saw Windows Phones and according to the article from The Verge Chinese mobile phone manufacturer OnePlus paid $300,000 to be involved as well. One of the most memorable product placements from the last season was for the online game Agar.io. It was included in the episode 9 when Frank and Will played a game on Will’s Samsung instead of having a serious conversation. According to Business Insider Miniclip, British gaming company that made the game received a call from the ‘House of Cards’ production team, out of the blue. “They already knew about the game and wanted to include it in the show, and naturally we were delighted,” company spokesperson Ben Meakin said to Business Insider. 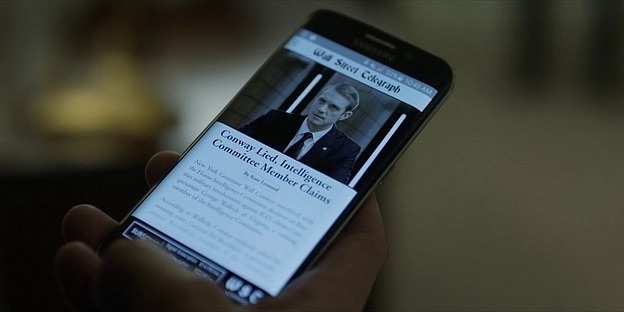 Below you’ll find all major brands that appeared in House of Cards season 4: Apple, Samsung, BlackBerry, Windows phone, CNN, Acer, Dell, Coke, … and many more.